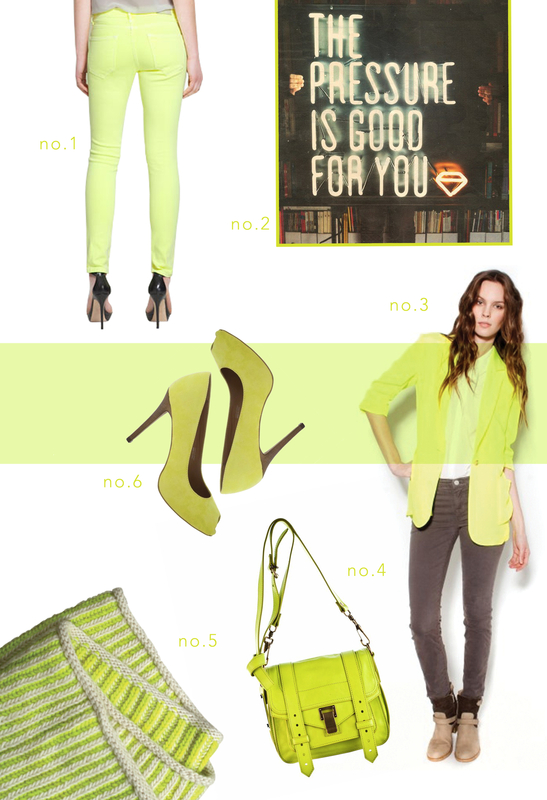 Lately, I’ve noticed a neon trend happening on my Pinterest boards. I’ve just been drawn to bright, punchy colors, I guess. I’m especially loving the thread of neon yellow/chartreusey pins going on and above are a few of my faves. (I am so in love with that Elizabeth and James blazer but it’s beaucoup bucks so I guess I’ll be on the hunt for a more affordable alternative, like this one from H&M). xoxo!